Attended a workshop in Ross, California (Marin County) with Stanka Kordic and eight other artists last month. What I learned will begin to transform my practice. I am so excited by techniques of wedges, brayers, brushes, and thought patterns of a master artist. Much more mystery and less literal interpretation of the content...I am not aiming to become a portrait painter, but to incorporate the learnings into my visual world. Marin County, Northern California, is a perfect setting. 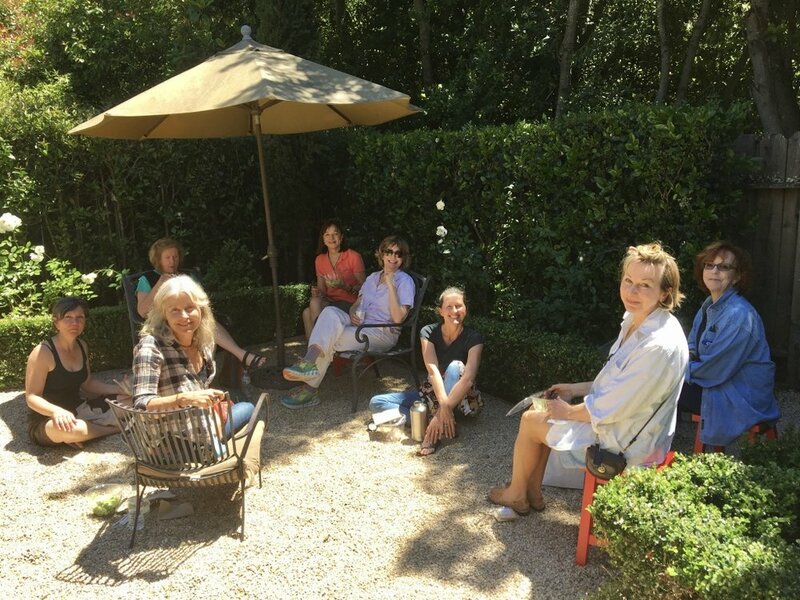 Here we are outside at the studio of Elizabeth Gorek, our host. At work...for seven hours a day for 5 days...bliss! Stanka's finished piece.....iPhone photo, so compromised color (apologies).